The beauty blogging world is a fascinating one and it grows bigger and better every day. So big that new blogs or YouTube channels are struggling to stay afloat or getting any recognition for their hard work. Actually scratch that, not only new blogs and channels are struggling, the older ones are too. Consumers, followers and readers are getting smarter and the moment they notice you're not being true to yourself or the quality of your content is slacking, they will move to the new frontier. It's an extremely tough market but know what else is seriously lacking in the beauty world? Products and reviews that are catered to older generations. I am in my late 30s and I sometimes struggle to find a review that is written by someone who has the same struggles that I do. 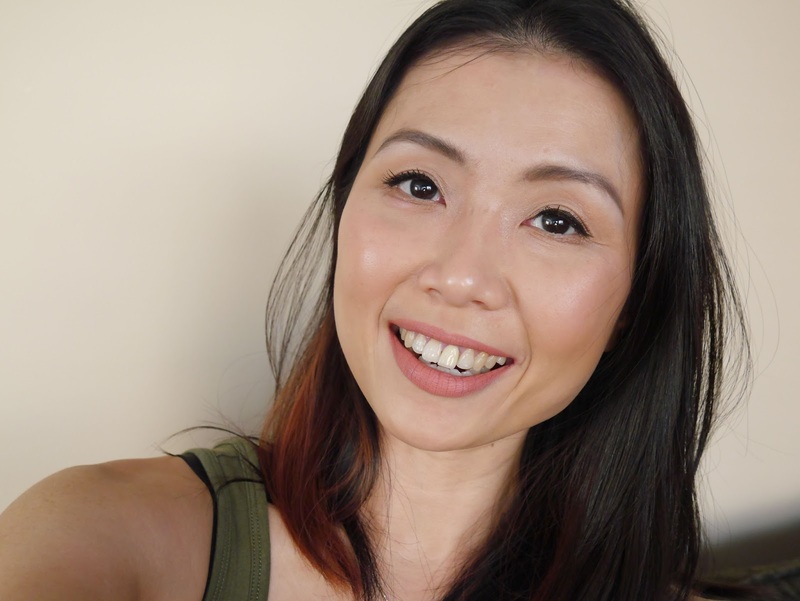 The extra lines on my face especially under my eyes lead to higher chances of my concealer creasing. And that eye liner that everyone raved about as super black and gives precise lines? It doesn't work the same when your eyelids are no longer as smooth. The chance of getting a crisp line is lower and is followed by a higher chance of the eye liner feathering and transferring. And if I who is in my late 30s struggles to find something or someone whom I can relate to, what about anyone who is in their 50s and above? 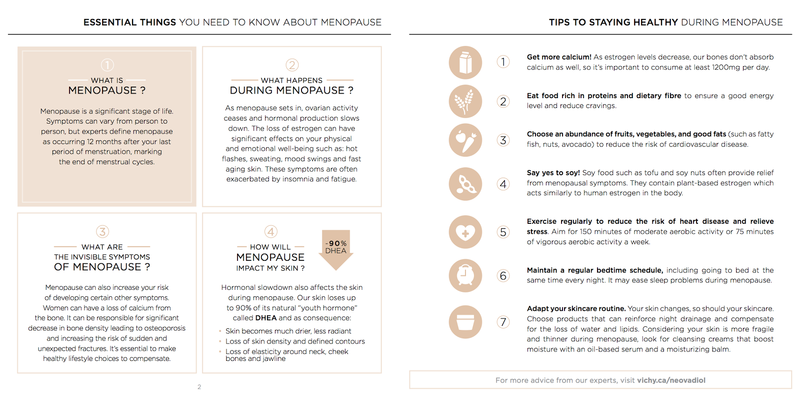 September was National Menopause Awareness Month and Vichy is sharing their expert tips and advice on how to embrace change and stay healthy during menopause. Yes, I know we're already a few days into October but I hope this post will always be available and reach out to women who are going through menopause. And before you lovelies get any funny ideas, I'm not going through menopause but my lovely MIL was kind enough to be my lab rat to test the new Neovadiol Night Compensating Complex*. Menopause is a significant stage of life and Vichy has studied the numerous skin changes that occur during this time. 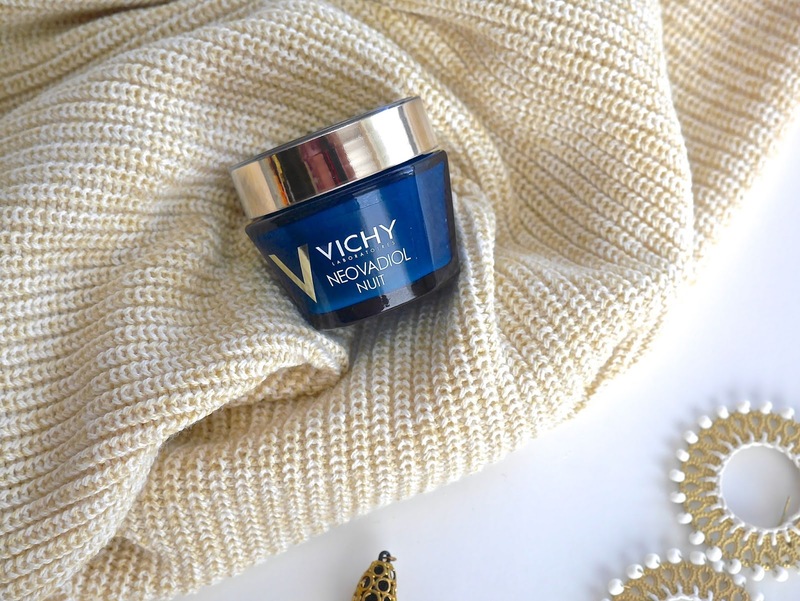 In 2016, Vichy continues its efforts to better support the skin of menopausal women with Neovadiol Night Compensating Complex. The most common complaint that I saw regarding this product is alcohol denat listed as the fourth ingredient which some claimed to strip and dry out the skin. Now I am unable to attest to this claim as I personally didn't try this but as a background, my MIL has a very sensitive and dry skin. She has to be very careful with her skincare as her skin irritates easily. She has been testing this night cream for the past three weeks and to summarize how much she likes it? Well, she asked me if I wanted it back and when I told her no, she actually said "Good, because I like and want to keep it." Haha! 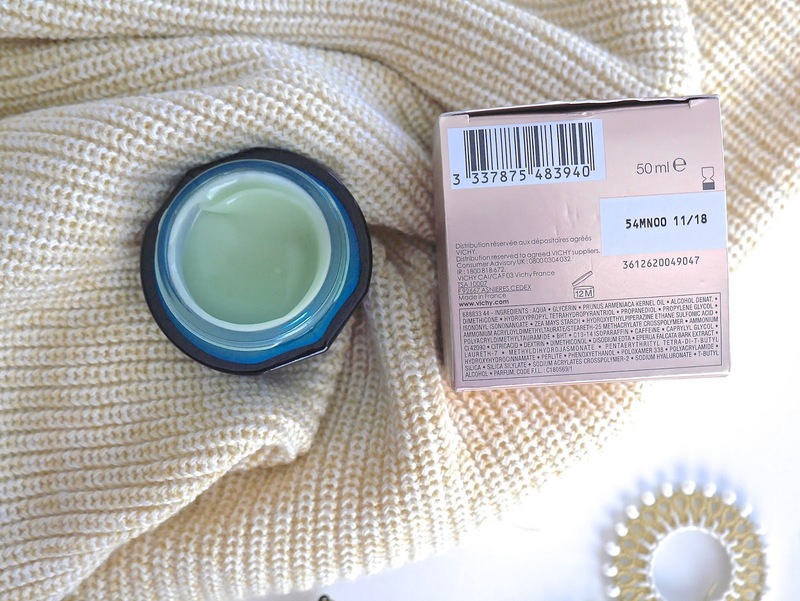 The texture is a hybrid between gel and cream, it's not too thick and absorbs easily into the skin. 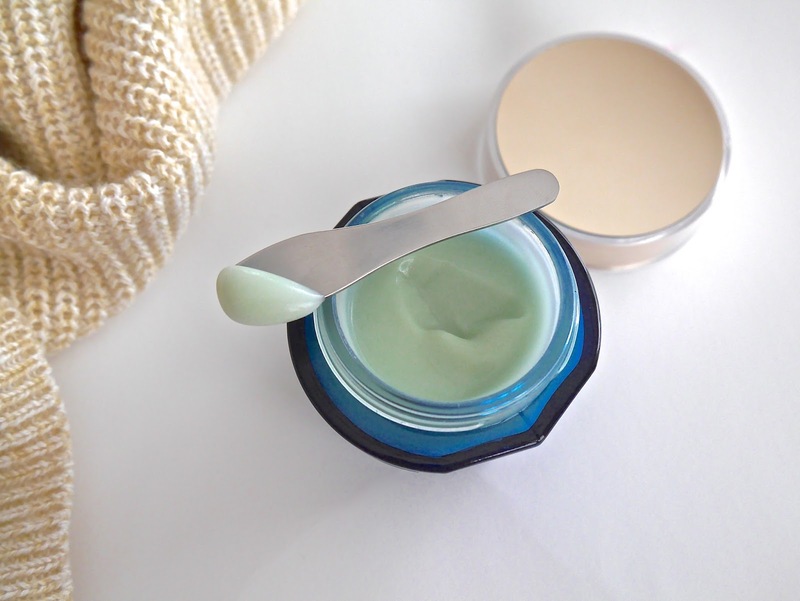 It doesn't leave any residue or tackiness and has a cooling effect to the skin. It does have a scent but she can't quite pin point what it reminded her of and she described it as 'clean', not overpowering nor was it intrusive. My MIL didn't notice any firming effect after 3 weeks however she loves how Vichy Neovadiol Night Compensating Complex* makes her skin feel. Her skin feels so much more moisturized, softer, smoother and best of all, it didn't irritate her skin at all. I have a feeling Vichy Neovadiol Night Compensating Complex* will be permanently in my MIL's skincare rotation from now on. It's been a long time since I saw her this happy and excited about a skincare product. Vichy Neovadiol Night Compensating Complex is available for purchase on vichy.ca and in your local drugstore for C$52.50/50mL.